Balletto Russian River Valley Pinot Noir 2016 exhibits everything you would expect from a serious pinot. It combines full and captivating aromatics with a delicate texture that defines the Balletto style of Pinot Noir. 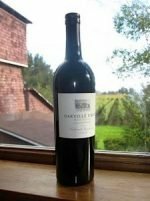 The wine itself is full of contradictory forces: it’s weighty with a luscious mid-palate, but also surrounded by notable tannins and acidity that keep it focused, balanced and taut. It has plenty of dark fruit, but it’s also layered with savory earth and spices that offset it. The overall impact is complex, impressive and delicious. The 2016 Balletto Russian River Valley Pinot Noir was grown on seven different estate pinot vineyards. The sites range from quiet rolling hills to steep and cold hillside plantings. This diverse combination adds distinct elements from each site and creates a complex wine with structure and grace. Categories: Country - United States, Region - California, Red - Pinot Noir. Land's Edge Pinot Noir is a classic “True” Sonoma Coast multi-vineyard Pinot Noir blend from stunningly beautiful, mostly estate vineyards that overlook the cool Pacific Ocean coastline. This wine has a floral, raspberry and black cherry scented bouquet complemented by balanced oak and broad, deep and rich cola, earth and spice notes in the finish. “The 2015 Hartford Court Pinot Noir Land's Edge Vineyards is soft, open and expressive, all of which suggest it is best enjoyed over the next few years. Dark red cherry, plum, spice and a hint of new oak meld together on the supple finish. The Land's Edge is a blend of fruit from Far Coast and Seascape, and is a great introduction to the house style.” Antonio Galloni, The Wine Advocate. 92 Points. 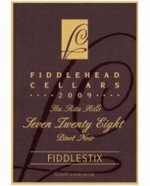 Named after the mile marker of the Estate Fiddlestix Vineyard, 7.28, on Santa Rosa Road, which is smack dab in the middle of the glorious Santa Rita Hills AVA and sandwiched by the Santa Rosa Hills to the south and the Santa Rita Hills to the north. This wine reflects the cool climate influence on Fiddlestix fruit and is a blend of all six clones planted in this Vineyard. 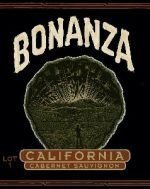 The terroir always gives forth to great color, fabulous spicy aromatics, broad textures, a juicy mid-palate and sassy acidity, and produces a wine saturated with the essence of smoky, black cherry cola. It's incredibly true to Pinot noir, true to its roots and always aged in the bottle prior to release for your ultimate enjoyment. Fiddlestix Vineyard delivers every time! The Torii Mor 2015 Willamette Valley Pinot Noir has toasty oak and dark cherry notes, with touches of vanilla and spices. There are also notes of dark berries and vanilla-spice all the way through. The flavors are carried with good tannins, and a rich mouthfeel, with a dry touch. Enjoy now with decanting or bottle age for a truly delicious and spectacular wine. Delicious notes of rich dark fruits mingling with dark olive, lavender, and herbs. This herbaceous beauty is perfect for a spring dinner al fresco.